Born in Bolton, Lancashire, Steve Fielding is a former apprentice engineer turned crime writer and professional musician. As a writer he has contributed to many crime publications including True Detective, The Criminologist, True Crime and Master Detective. His first major work was The Hangman’s Record a three-volume trilogy detailing the history of capital punishment in the UK between 1868-1964. The local best selling Murderous Bolton was released in 1994 and reprinted in 2009. A follow up title, More Murderous Bolton was published a year later. He is the author of four successful books in the Countryside Murder Casebook series: Lancashire Murder Casebook, North Wales Murder Casebook, Cheshire Murder Casebook and Yorkshire Murder Casebook. After graduating with a degree in Creative Writing in 1998 he worked for several years at Granada Studios in Manchester before training to become a teacher. Steve featured in the 2004 Discovery Channel series The Executioners – also available on DVD – working as script consultant. In the autumn of 2005 another title for Countryside Books: Lancashire Tales of Mystery and Murder was published, and in February 2006 Pierrepoint: A Family of Executioners, the long awaited biography of that unique family was released. That year he also contributed to the Crime & Investigation channel documentary Executioner: Pierrepoint, broadcast in November 2006. In April 2007 Hanged at Durham, the first in a series of books for Sutton Publishing, was released, soon followed by a new book for John Blake: The Executioner’s Bible, detailing the role of the hangman throughout the 20th Century. Hanged at Pentonville (The History Press) was published in February 2008, and Hanged at Liverpool (The History Press) followed in June along with the paperback version of Pierrepoint: A Family of Executioners (John Blake Publishing). Hanged at Manchester (The History Press) was published in October 2008 and Hanged at Leeds (The History Press) hit the shops in July 2009, Hanged at Birmingham was published in December 2009 and Hanged at Winchester in the following year. Next up for 2014 is the re-release of The Hangman’s Record series to be followed by and Kindle version which will be amended and expanded. As a musician he has toured the USA and Europe many times, notably as the bass guitarist with 1970’s glam rock legend John Rossall’s Glitterband and punk rock groups The Boys and The Stiffs. After several spells in the early 1990s touring Great Britain with an Elvis Presley stage show, he formed The Lost Boys, playing over five hundred gigs, between 1992 – 2009. He is a founder member of Manchester based glam rock band Glam45. for the Crime & Investigation channel, other TV appearances have included Richard O’Brien’s Dead Strange, The One Show, Fred Dineage’s Murder Casebook, Most Haunted and several appearance on local TV news programmes. 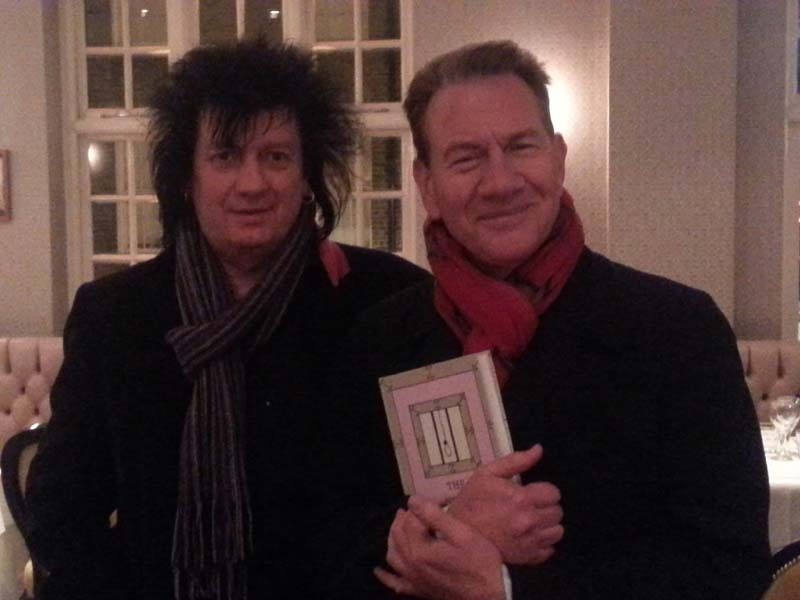 Filming for a episode of a new documentary series presented by Michael Portillo has recently been completed.